The Bevel Team is scattered around the West Coast this week for the Magic Leap Conference, Indiecade, and Seattle Startup Week, so we interrupt our regular programming for a very fun announcement: XR Dad. You might know Logan Smith as Bevel’s augmented reality cyborg and chief space nerd. Across the country is Agile Lens’ Alex Coulombe who lives and breathes in much the same virtual world as Logan. By day Alex and Logan are XR technologists. By night they’re XR dads. Logan Smith, Bevel’s Technology Director and Chief Space Nerd, now an XR Dad. So Logan, tell us about your day job as a spatial/XR technologist at Bevel and how that led to XR Dad getting started? I am a spatial computing solutions provider for architecture and construction. Meaning our studio works with the end users–generally the construction and architecture firms. We work with these professionals and understand their workflow. We also know the technology stacks and find where this amazing new tech actually connects with the business as it is happening and as it can be shaped. I met Alex when he was in Portland. He asked to see who else was in the VR and architecture space and he found me. Ever since we’ve been part of the crazy XR studios across the country. There are more and greater use cases for this technology than we have time to build. But first, we need to help everyone else understand the potential as we do. XR Dad is probably one of the most fun ways to teach people some spatial tech. So why not? Alex and I joked about future collaborations from the beginning. Tell us about why you’re excited about raising a kid in the XR age? My kid–especially because of his learning and sensory issues–gets more chances to learn by experience. He needs to do and see and interact in order to learn best. He can do that in ways we couldn’t have imagined as kids. This animation made trigonometry make sense to me. And I saw this 10-15 years after taking trig and was like OH that’s what they’re talking about. It’s just a silly GIF. But having things like that that make sense because you can interact with them in a more intuitive way is really cool. When my kid couldn’t understand how people were living on the International Space station. “I was trying to describe it to him. It’s sorta like a building… sorta like a spaceship. You can see the earth in the sky. I just confused him. It made no sense to a 5-year-old.” I stopped explaining and invited him into VR for a spacewalk on the ISS. He can tell you all about it to this day. I stopped explaining and invited him into VR for a spacewalk on the ISS. He can tell you all about it to this day. Little things like that make me really excited about the kinds of education that can happen now through spatial technologies. So what are you going to get out of doing XR Dad? I get caught in ideas like–“WAIT, I can do this? I have to do this!” Sometimes I can’t help but make this stuff and it’s nice to have an outlet that someone else will see besides my family or business partners. Things that aren’t marketable, aren’t useful in any traditional way–they’re just sort of magic and I now have an excuse to do them and share them with my kid and with other people. And that’s just fun for me. Like what do you mean? Give us an example of something you made in XR that was just fun and not useful? When my kiddo was much younger and building things out of woodblocks and pretending they were giant buildings, I took a photogrammetry scan and showed them to him in VR to see them as GIGANTIC blocks. 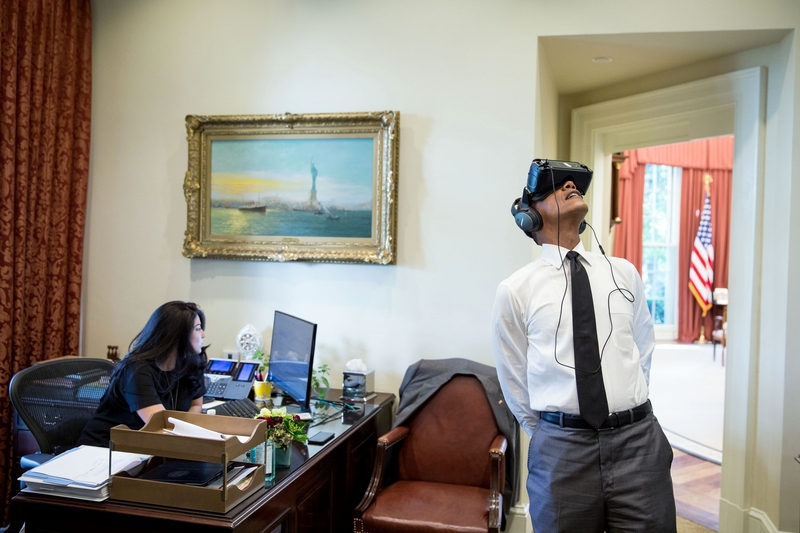 He could walk up to his block tower in VR and see it as he imagined it. It was HIS block tower–all kids have imagined this. They build a thing with their hands and their imagination brings it to life. Yeah, he stopped imagining after that. Stay tuned with Bevel’s regularly scheduled XR in AEC programming next week! And in case you missed them check out these: why Mobile AR in AEC or our Magic Leap test while in Helsinki. https://bevel.space/wp-content/uploads/2018/10/Bevel_XR-dad_header-1.png 448 806 Maret https://bevel.space/wp-content/uploads/2018/09/Logo_cut-300x110.png Maret2018-10-10 21:41:492018-11-26 03:06:38Who is XR Dad?